Do you worry about the ingredients in your food or how environmentally friendly they were in the making of said food? I will freely admit, I go out of my way to research the ingredients in food I purchase and try hard to do business with small companies that care about the environment. Sometimes finding quality, earth-friendly food can be challenging though, especially with so many brands out there making these sorts of claims, with products that range from delicious to tasting like cardboard. 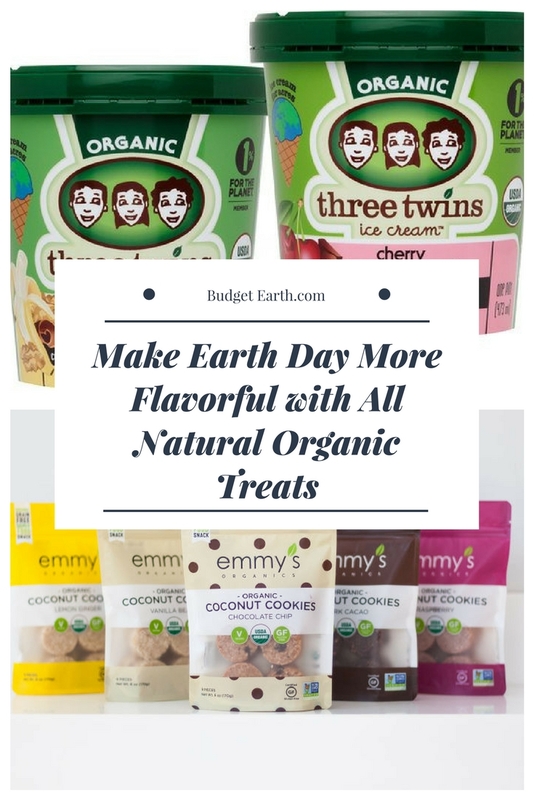 As Earth Day is getting closer though, I wanted to experiment with some new companies and see if I could exchange some of my favorite treats around the house with healthier, more eco-friendly options. Are you someone who loves cookies? If so, spoil your sweet tooth with Emmy’s Organic Cookies. These delicious cookies are made using premium organic ingredients (like fair trade cocoa powder) and are made in a solar and wind powered facility that produces minimal waste. They take being environmentally friendly so seriously that they even come in recyclable packaging. As well, each of their tasty treats are USDA certified organic, gluten-free, and are non-GMO. Oh, and they are committed to transparency and using their business to do good, one of the reasons they are so proud to be a certified B Corporation. Personally, I love these cookies, with being a tie between the Dark Cocoa Cookies and the Vanilla Bean on which is my favorite. While it may seem overwhelming at first with each cookie being 100 calories, they are extremely filling and high in protein. They are a perfect pick me up when you need a high protein snack, or a sweet fix without going overboard. Best of all, I feel confident knowing I am eating a healthy treat that won’t ruin my diet! 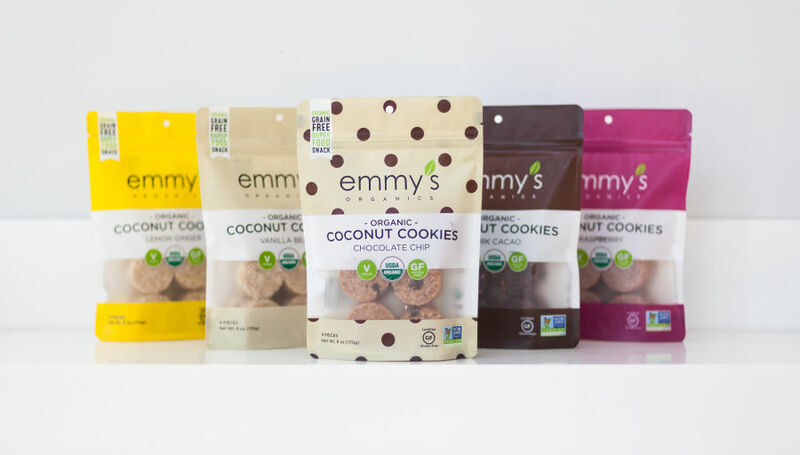 If you are looking for a yummy treat from a company that cares about the environment, I highly recommend trying Emmy’s Organics Cookies! 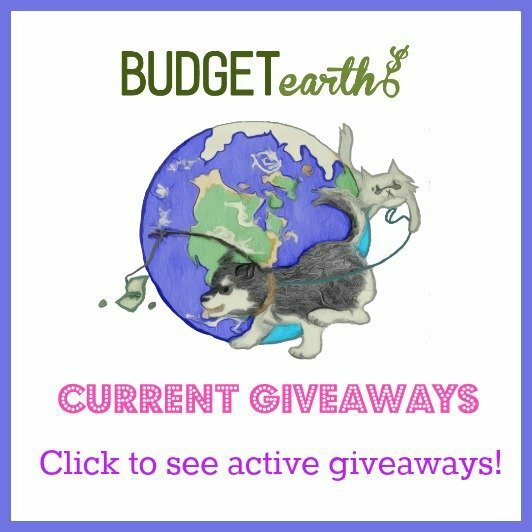 Trying to find ice cream that tastes amazing, made by a company that cares about our environment? Take the guilt out of eating ice cream with Three Twins Ice Cream. Their goal was to make ice cream that was tasty, affordable, and unique, by giving everyone an affordable ice cream made from organic ingredients. All of their ice cream is also rich in flavor and made from a scratch base of milk, cream, sugar, and eggs. Along with also being certified USDA organic, their ice cream never contains artificial colors, gums, stabilizers, or corn syrup! We also love that they are committed to protecting the environment by being part of 1% of the Planet and launching their own land conservation initiative in 2011 called Ice Cream for Acres (a partnership with Global Wildlife Conservation). So, what do we think of the ice cream? Personally, I like their all natural ice cream. For our testing, we tried their bittersweet chocolate and lemon cookie, both of which were absolutely delicious. I’m one of those girls that believe if I’m going to be eating ice cream; it should be as natural as possible with the best ingredients. Both had fantastic flavor and I loved the texture. Honestly, I can’t wait to try more flavors! 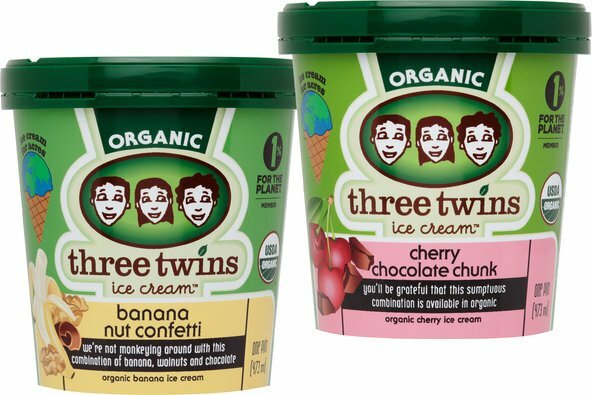 If you are looking for an all natural, organic ice cream, we highly recommend Three Twins Ice Cream! I am all for organic, as long as the rest of the business has sustainable practices. For example, organic Doritos? Never. I do like the sound of Emmy’s. These look really good! Lately, I’ve been paying attention to what I eat, but sometimes I crave a little sweet. These could be a great option! I’m trying to get right with my diet and I can see this working perfectly with it! Thank you for introducing me to this! These sound really good. I would really love to try Three Twins Ice Cream. I would give these all a ry! I really like the idea of the ice cream. I like being able to pronounce what is in things and this sounds delicious.